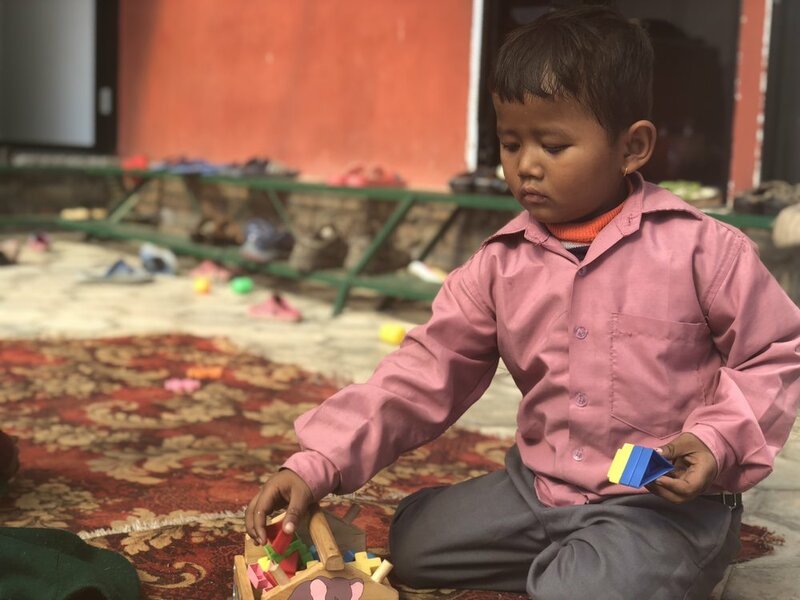 Sujal's father passed away when he was young and his mother, who is blind in one eye, recently brought him to Kathmandu from their native village so that Sujal could receive a proper education from EDUC-Nepal. She works daily selling Pani Puri food on the street. Sujal requires a surgical operation from the doctor, but his mother is not able to afford it. Sujal is a passionate young boy who always tells the truth. Susan was recently diagnosed with blood cancer (leukemia). Susan's father left Nepal for Saudi Arabia to become a laborer in order to provide for his family. Susan's mother is not able to work, because she must take Susan to the doctor each month to monitor his disease. Susan is one of the happiest boys to ever attend EDUC-Nepal, and he hopes to grow up to become a policeman. Rohan lives in the slum area of Kathmandu. His dad works daily as a laborer and his mother also works daily. Although Rohan is only 8 years old, he looks after himself and his 4 siblings, one of which is an infant. Their family struggles to pay the monthly tuition fee of $2, and are in a difficult situation. Rohan is a very good student and is active and outgoing.